• Cults West Parish Church. Both of these Churches had defined parishes, the boundaries of which extended from the east at Pitfodels from the North bank of the River Dee to Craigton Road and extending to the West to Contlaw road, Milltimber. The central dividing line lay approximately along the line of Netherby Road and ran from the River Dee to Craigton Road. The irony of the situation is that the two churches, despite having parishes stretching some four miles east to west, were actually located on North Deeside Road within ½ mile of each other! By the start of the 21st Century is had become clear that to maintain two churches in the area was no longer practicable and, at the behest of Aberdeen Presbytery, an arrangement to unite the congregations was entered into. 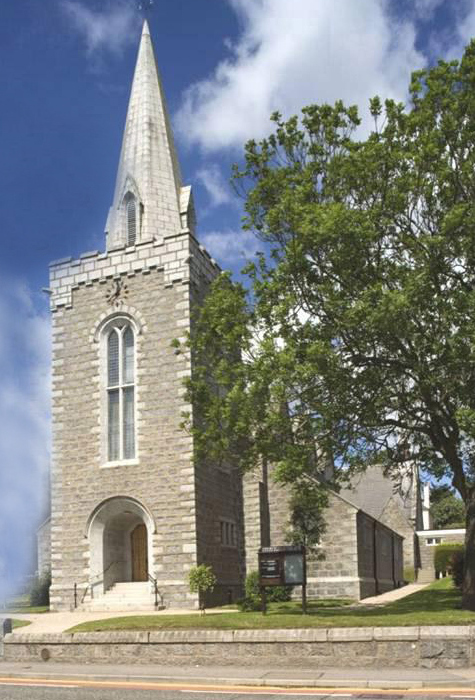 By April 2004 full agreement had been reached and at a service on Thursday 28th April 2005 at a Service of Union held in the Church and conducted by the Moderator of Aberdeen Presbytery our new church was formally created. On Thursday 23rd March 2006, Rev Ewen Gilchrist was inducted as the first minister of Cults Parish Church and conducted morning worship within the sanctuary at 1 Quarry Road the following Sunday.